What is a reseller account, and why would I want to create one? Often times we get requests that a user would like to manage two separate web hosting accounts in cPanel. Or a faculty member would like access to various student cPanel accounts. 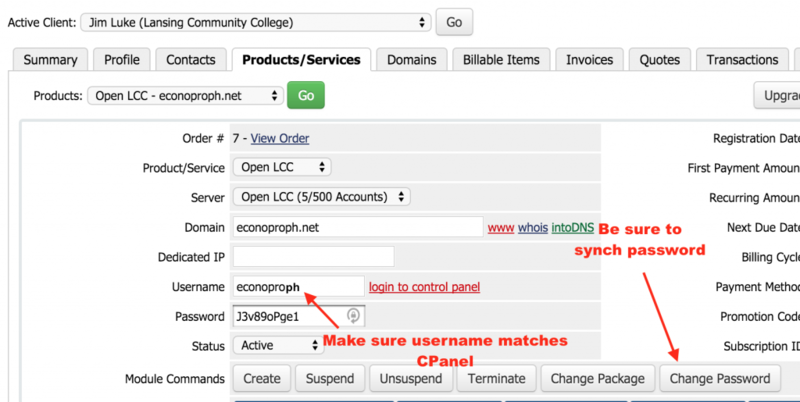 By adding reseller privileges to an account, as illustrated below, you can provide access to one or more cPanel accounts for any given user without them needing that cPanel accounts login credentials. The additional accounts simply show up in a dropdown menu in their cPanel Dashboard, and they can switch between various accounts. That’s the why. You will need to fill in the account details, such as domain, username, a strong password and an email. The email can be the same used for another account, or it can be different. Figure 2: Add domain information for new account. You will need to choose a package, in this example Default, and if you like you can decide to override certain account settings by choosing Select Options Manually (which is unchecked in this example). Make sure you choose the Reseller Privileges option during setup for the new account. After the account is all set, confirm the creation of a new account. After that, you will now need to click the Modify Account button for the account you intend to be the reseller. So, for example, you just created the account econoproph.net, and you want that to be owned by the account jimluke.openlcc.net. You would need to modify the jimluke.openlcc.net account and give it reseller privileges. Once you have done that save the new settings. Keep in mind you want to choose Keep this account package ‘Default’ (not recommended) as your save option. Now you have to change one more feature of the reseller account, you need to select the that account as the Account Owner. So, in this example, jimluke.openlcc.net will be the account owner, rather than being owned by root or the new account we just created. After that you need to modify the new account you created, i.e., econoproph.net. Save settings, not recommended is recommended. 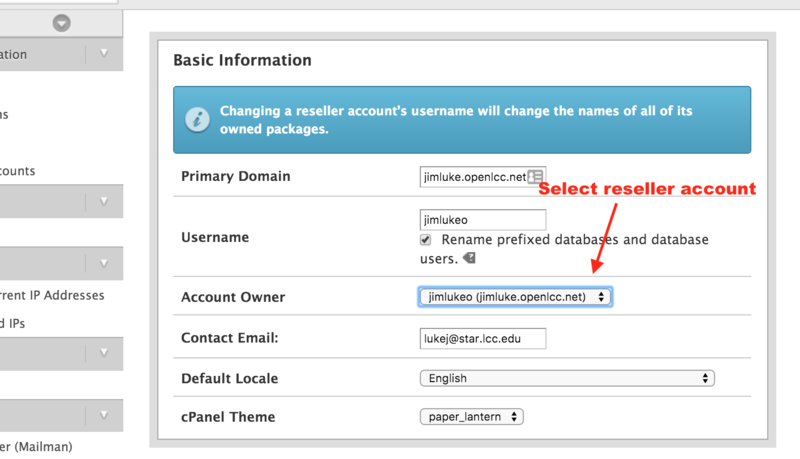 Now, if you were login to the account jimluke.openlcc.net, you would see a dropdown option in the cPanel Dashboard enabling me to switch between accounts. That should be everything. 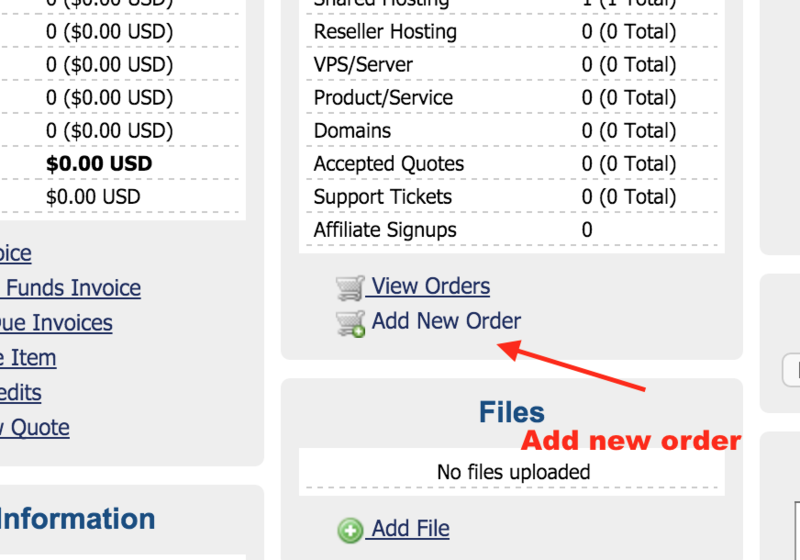 If you are using WHMCS, you would want to Add a New Order to the user’s account post facto. Once you submit, just make sure the module that actually creates the new account on cPanel, Run Module Create, is unchecked, as well as the option to Send Welcome Email for new accounts. You should also make sure the usernames match and you click the Change Password module to ensure they’re in sync. Figure 17: Make sure your product username matches the one you sued in cPanel and be sure to click on the “Change password” module to sync passwords. 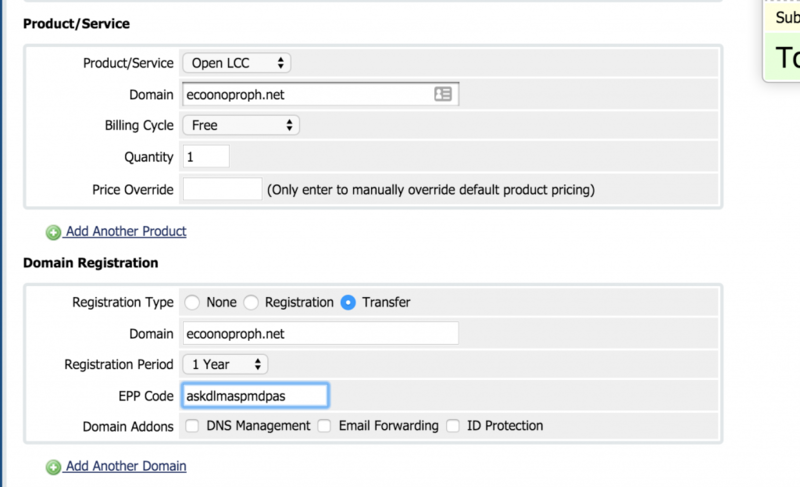 And that’s how you create a Reseller Account in cPanel, something as a faculty member in the early days of ds106 I would have found very, very useful for getting a sense of who is doing what on their domain by easily switching to their accounts. We also realized this approach was useful for student organization or club sites because upon someone’s leaving or graduation it could be easily transferred to another student or faculty within cPanel. 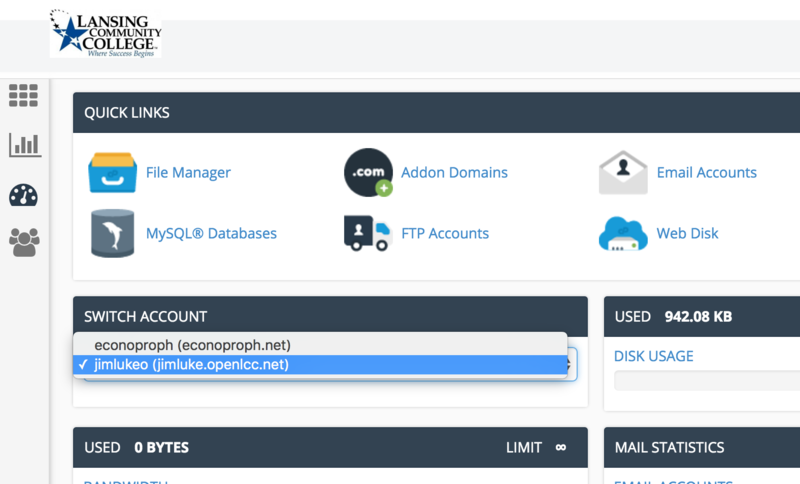 Alternatively, you could also start by creating a new hosting product in WHMCS directly for the user who wants the additional hosting, and have that automatically create the new cPanel account. This may be good practice because you would have a searchable record of the new account in WHMCS. The only thing you would need to add was the “reseller privileges” checkbox for the newly created account (figure 4). 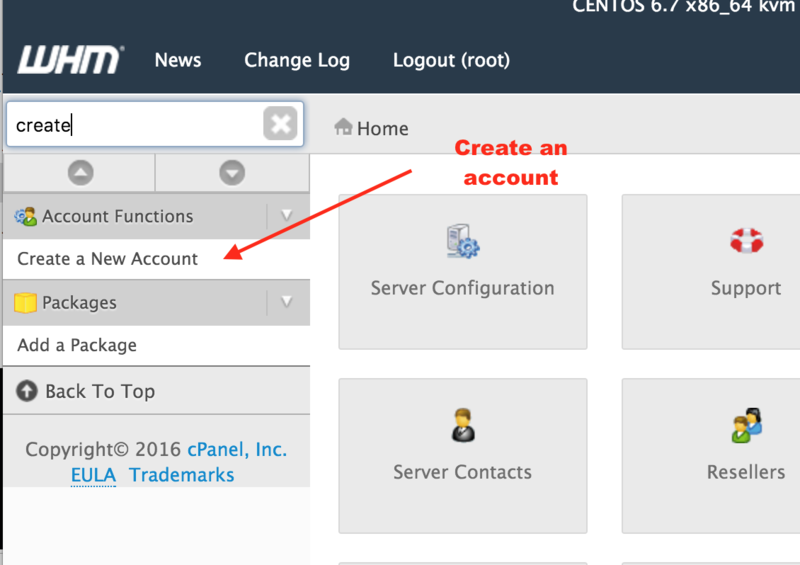 Other wise, you could pickup from figure 5 after creating the account in WHMCS, if you so desire. Also, you can obviously forego figures 14-17 given you will have done that already. 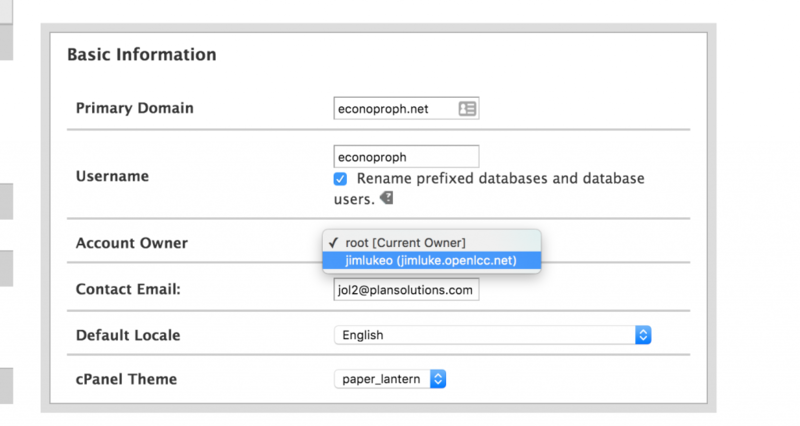 I am using the great Jim Luke as an example here, though econoproph.net is not a real site, he would be moving econproph.net over, and that will be a different process given he already maintains that site within the Reclaim empire (big fan!). That will be using the transfer tool, and I’ll do a post on that wonderful CPanel utility soon. This entry was posted in reclaim and tagged cPanel, documentation, reclaim, reseller account. Bookmark the permalink.